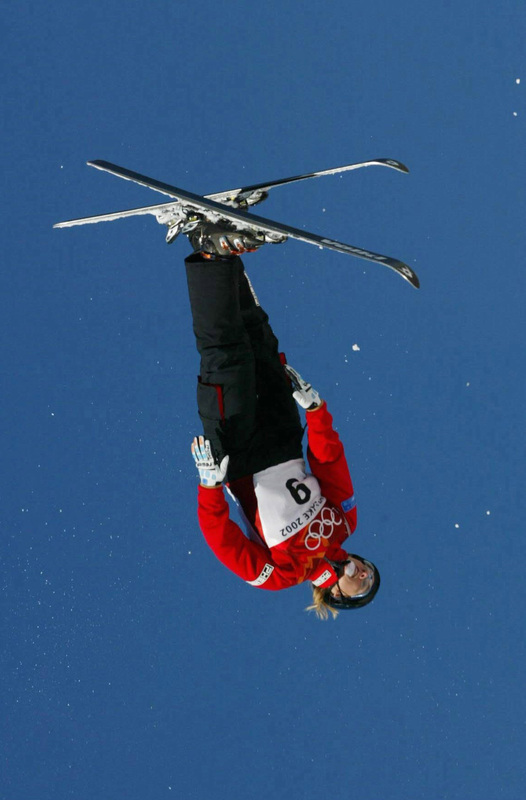 Being an Olympic athlete takes an incredible amount of self focus. All day, every day, you have to concentrate on your training, your diet, and the attitude you need to win the competition. It’s me, me, me, all the time. Not that there’s anything wrong with that. It’s what separates the great from the super-great. And it’s what gets the job done. Yet as self-involved as this sounds, many of these athletes go on to do incredibly altruistic things. Take three-time Olympic aerialist Tracy Evans. Tracy competed in the ’94, ’98, and ’02 Olympics, then went on the World Cup circuit where she achieved a host of top then results. But Tracy’s accomplishments don’t end there. In 2008, Tracy founded Kids Play International (KPI), a foundation that uses sports to educate and empower Africa’s youth. KPI’s mission is to teach life skills and impart the importance of physical fitness and healthy living through the use of sports. It’s also established a scholarship fund to help girls achieve a comprehensive education. Recently, Tracy was named Female Athlete Philanthropist of the Year by the United Athletes Foundation, a group whose mission is to empower athletes to impact communities through education and social development. I spoke to Tracy to learn more about her involvement with KPI. Q: First of all, Tracy, congratulations on your award. KPI sounds like a fantastic organization. Can you tell us what motivated you to start it? A: I was exposed to volunteering from a very early age. My mom is a registered nurse who’s done volunteer medical work all over the world. She always encouraged me to go on a volunteer trip of my own. For a long time I thought volunteering was for people who were teachers or in the medical field, so I wasn’t sure I had the appropriate skills. 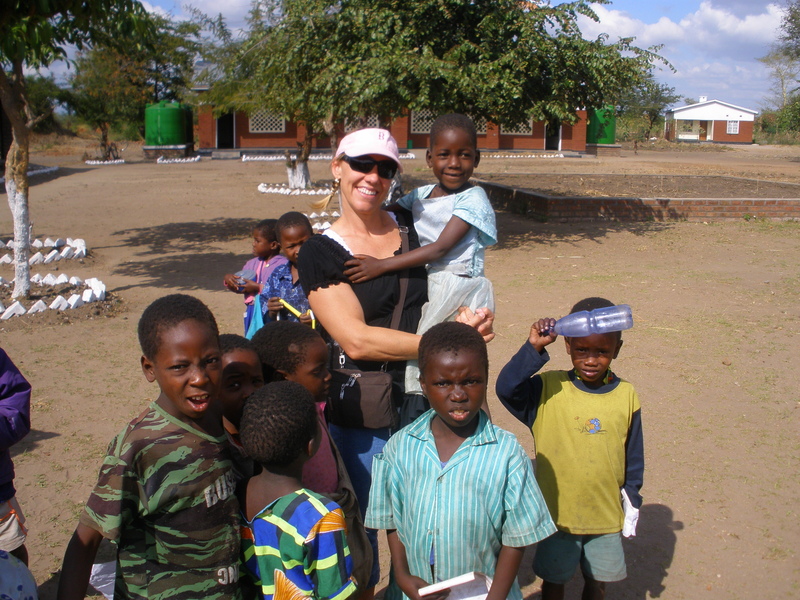 Finally, in June, 2008, I decided to go on a trip with an organization to Malawi in Africa. I came up with the idea of bringing over some sports equipment to play with the kids in the orphanage. My team leader loved it, and it turned out to be an incredible success. For me, it was life changing. These kids had never had anyone interact with them like this. A lot of the games I introduced were completely new to them. I loved exposing them to sports they hadn’t played before. Gender equality is a big issue over there, so picking a sport where boys and girls can learn together creates a whole new dynamic. When they played a familiar sport, they reverted to traditional gender roles. For example, girls don’t play soccer, so the boys don’t want girls to play. But with a new game, this wasn’t an issue. When I left after two weeks, I could see I wanted to pursue this further. My father helped me set up a non-profit organization called People Helping People International. Kids Play International is actually part of that. A year later I assembled a group of volunteers and went back to the same orphanage. We brought over all sorts of sports equipment and set up a sports room so the kids could continue to play even when we were gone. These kids don’t have any after school programs, community centers, or Girls or Boys Clubs. So what we were doing made a huge difference. Q: How has the program developed? A: Right now we’re trying to get over there twice a year with volunteer groups. The trips are great, but since they’re only for two weeks, our impact is fairly limited. It’s a great way to introduce people to the program and see the country. But I want to make an impact that’s more longer lasting. So I’m currently developing a pilot program in Rwanda. It’s an after school education program that would run all the time, even when I’m not there. I’m at a point where I’m getting funding to train in-country coaches and program directors –- local staff who can run it so kids have a place to come after school. And I’ve developed a curriculum. Q: What do you want kids to come away with? A: Essentially, we’re using sports as a vehicle to teach them life skill lessons that they can use on a daily basis to improve the way they handle conflict and work with one another. It’s also a way to teach them leadership skills and gender equality. We want them to learn by doing, and sports is a great way to do that. We’ve also set up an education scholarship fund for girls, because these are the ones who are not typically in school. It’s been shown that if you educate the women, you’ll change the country. The other alternative is to have them learn a trade. Q: This sounds very ambitious. Do you have any help? A: I’m not trying to re-invent the wheel here, I’m bringing in a lot of partners, like the World Olympians Association (WOA). I love how they work at bringing athletes and their foundations together to see what synergies exist, so you don’t have to do it all yourself. Q: As if KPI isn’t enough, I see you’ve also started something called the Golden Games. Can you tell me about that? A: That’s a local program here in Salt Lake City, Utah, geared to seniors in nursing homes and assisted care facilities. It’s a one day event that brings them together to compete in a host of events. Q: How has being an athlete had an affect on the way you work? A: My education is in marketing, and all through my competitive career, I’ve found that you have to be aware of what’s going on; you can’t hand it over to anyone else. You have to be very hands on and knowledgeable about what you’re doing. I’ve brought that same mindset to KPI. It’s served me well. Q: Sounds like you’re really busy. Do you have any time to ski anymore? A: My boyfriend is an avid skier and is always trying to get me out to ski. I do love to get out on the slopes, but it’s more of a social thing for me. One of the things I love about skiing is that it’s something people of all ages and abilities can do. For me, it’s not about how many days I can get in. I’m not the first person on the lift or the last one off. It’s just something I do for fun. A: Do you do freestyle any more? Q: Here in Park City, we have our summer training facility at the Utah Olympic Park. It’s a ramp with a plastic surface that goes into a big swimming pool. There’s a big day lodge, and a lot of corporate groups come in throughout the summer. We put on a water ramp show set to music for them. We’re the entertainment. Freestyle just isn’t as big a part of my life because I’ve been so busy. Between my casting company [Athlete Source Casting] and my work in Africa, I just don’t have the time. But I still love to jump. It’s by far the best adrenaline kick there is. Q: You’ve been in three Olympics. Do you have one that stands out for you? A: Lilllehamer was extra special. It was my first Olympic games, my brother was there coaching, and my folks were there, too. It was an amazing venue. But you know, the flip side was the Olympics in Salt Lake. It’s rare for an athlete to compete in your own country, let alone in your own back yard. My extended family could come out and see me. It was an incredible experience. Q: So what are your hopes for the future? A: With the pilot program in Rwanda, I want to get a really nice, easy model to replicate so I can expand into other areas of the countries I’m working in, as well as into other countries, too. Basically, I want to provide a Boys and Girls Club for Africa; an after-school community program so these kids have a safe place to come, play and learn and have opportunities and resources so they can be successful and industrious. I also want to connect the youth of the US with the youth of Africa. I think that’s an important part of it. Right now, through my volunteer trips, I’ve had a few kids from Park City come along with me. One of them was so inspired that she started a Kids Play International club at her high school to boost awareness about what’s going on over there. Q: Thanks, Tracy. And congratulations again on your award. You can make a tax-deductible contribution to Kids Play International at their website. Go here. You are doing amazing work. I once played soccer with a group of school kids in a tiny Himalayan village in Bhutan. The memory will always stay with me. I’ll head over to your website now and check it out.